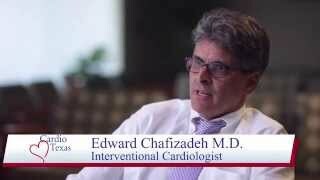 Edward Chafizadeh, MD, has practiced cardiology in Austin since 1997. He received a bachelor degree in molecular biochemistry from Yale University in 1985 and went on to earn his medical degree with high honors from Baylor College of Medicine in 1989. He subsequently completed an internal medicine residency at Baylor and served as Chief Medical Resident at Baylor/St.Luke's Episcopal Hospital. Dr. Chafizadeh then completed fellowship in cardiology and interventional cardiology at Harvard Beth Israel from 1993-1997. He is board certified by the American Board of Internal Medicine in cardiovascular disease. Dr. Chafizadeh currently practices general and interventional cardiology at St. David's Medical Center in Austin. He is on the Bylaws Committee, the Quality Assurance Committee, and is the Medical Director for STEMI care at St. David's. His clinical interests include preventive cardiology, lipid disorders, interventional cardiology (including both cardiac and peripheral vascular disease) and non-invasive imaging of the heart and blood vessels. Dr. Chafizadeh is a past president of the Capitol Area Division of the American Heart Association and has served on the Texas Board of Directors of the American Heart Association. In his spare time, Dr. Chafizadeh enjoys spending time with his wife and four kids, running, playing basketball, flag football and golf, and working the Sunday Times crossword puzzle. 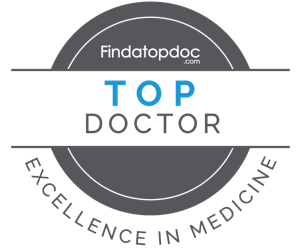 Board certified in Cardiovascular Disease by the American Board of Internal Medicine.